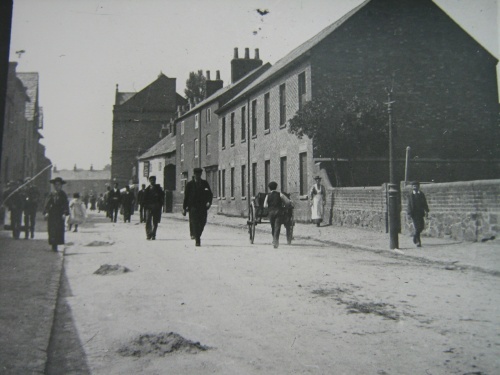 An early view of Leicester Road looking north into the village towards The Cross. In the distance is the Royal Oak. Many of the buildings have been demolished, but the two nearest on the right still remain is use as part of the original Wright's Mill complex.